This is prime season for flu shots, but in some areas supplies are running low because of a delay in shipping enough doses. Dr. Alanna Levine, a pediatrician in Orangeburg, New York, says she is down to her last few doses of flu vaccines specifically made for children. "There's been a delay in the shipment of the vaccine which has made it very difficult for pediatricians to get all their patients vaccinated," she told CBS News' Kris Van Cleave. 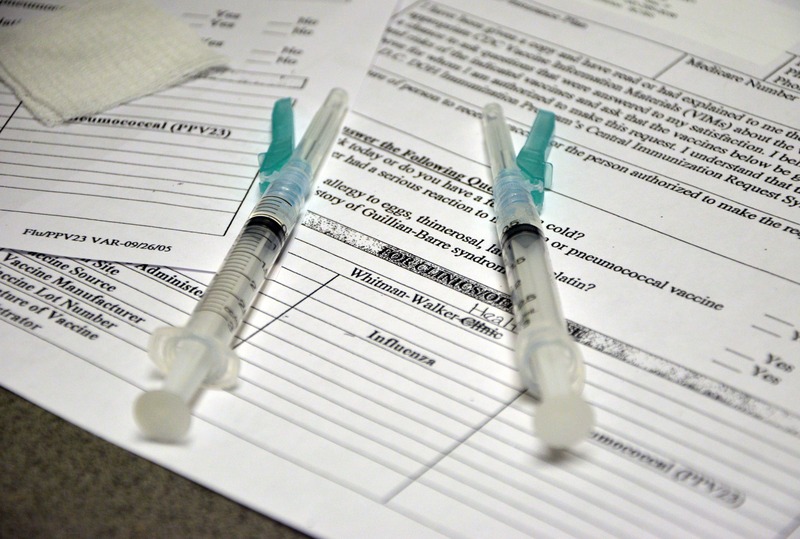 The Centers for Disease Control and Prevention confirms there have been delays, and says the overall vaccine supply is about 10 million doses behind where it should be for this time of year. However, officials are reassuring doctors and families that shipments will soon catch up and enough vaccine will be available for everyone who wants a flu shot this year. "There might be a little delay, but keep checking," said Dr. Carolyn Bridges of the CDC. "We understand it's on its way." Manufacturers say they planned to have most doses available in October, but now some shipments will continue into November. Michelle Benson, a mother of two, was happy to hear that Dr. Levine's office still had a few doses left for her daughters, Georgia and Chloe. "I'm relieved that they got their shots today and I don't have to worry about flu season anymore," she said. The flu vaccine is available as either an injection or nasal spray, and the CDC recommends that almost everyone over the age of 6 months get vaccinated. Though it doesn't pack the same fear factor as a disease like Ebola, the flu actually kills far more Americans each year. One study reported an average of 41,400 flu-related deaths in the U.S. annually. This year health officials say a flu shot is especially important to help keep people out of doctors' offices and emergency rooms with symptoms like fever, body aches, vomiting and diarrhea, which can look a lot like the early signs of Ebola.